Every November our Service & Parts Department celebrates Customer Appreciation Month. Because of Kia’s Service Centered Around You Philosophy, we develop relationships with our customers that last for several years or even more if they continue to purchase Kia vehicles. 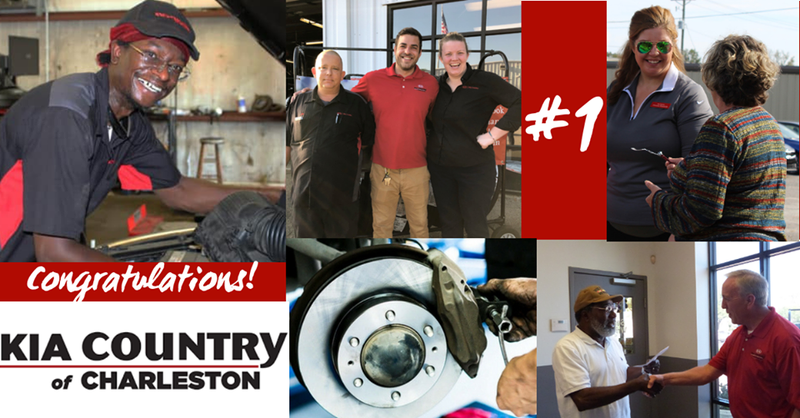 Coincidentally, we learned this morning that our Service & Parts Department achieved some major recognition with many thanks to our customers. The New Owner’s Clinics, Women’s Clinics and two Car Care Months each year, we solidified our customers’ first philosophy and have allowed us to develop even better relationships with our customers. They really enjoy the events, contests, and prizes and appreciate the information and knowledge that we share with them. Many of our customers take the time to complete Kia surveys, write reviews or send us a note and for that, we are extremely appreciative. We also appreciate that you trust us with the care of your vehicle. Our days can be demanding and often stressful, we never know what problems or issues we may encounter and how it will affect workflow. Because of that, there is nothing we appreciate more than the unexpected kindnesses our customers show us. And so we say thank you. Thank you very much. It is our pleasure to do business with you. Please enjoy a record 13 Customer Appreciation Coupons this month.